The silver mountain highway tunnel needs miners. It has 4 or 5 iron veins of various quality that need to be mined out. Some are rather large, 5000+. This is more than a 1 person job and I'm looking for volunteers to help mine it out. You can keep or sell the ore/lumps. If requested, I can drop off a smelter in the tunnel. 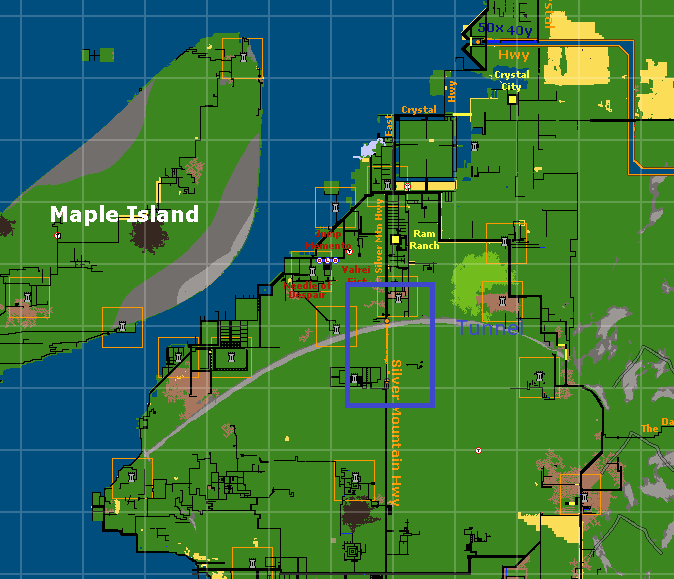 Tunnel is located approximately n22 in game map, 49x45y on Albia map. Hi I'm busy on another tunnel project. But perhaps i could do a little assistance if you could provide some directions of the location. Are there smelters and BSB's precent to get rid of the ore If not i'll just pack some on the wagon. I'm out of town until monday. Let me know if help is still needed by then and its not to far away. btw. 4-5 veins IS a one person job :-), but always more fun to share the task. Smelter and BSBs now available in the tunnel.